1. 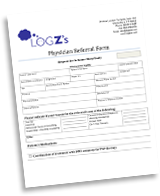 Fax a referral form and patient’s demographics page to Log Z’s. 2. The patient will be contacted at preferred telephone number within 24 hours. Sleep studies are scheduled at patient’s earliest convenience customarily within 10 days of receiving referral. 3. Test kit is delivered and the patient is instructed on how to administer the test. Upon completion of the study the test kit is returned to Log Z’s. Often times a pre-paid and addressed shipping box is given to the patient for the kit to be returned to Log Z’s. 4. The sleep study is scored and interpreted by a Physician that is Board Certified in Sleep Medicine. 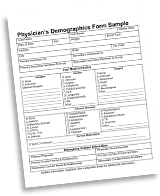 A report with recommendations is customarily sent to the referring physician within 72 hours of receiving the test kit back from the patient.